The Canadian Olympic Club is Team Canada’s official fan club, an all-access community uniting and rewarding passionate Team Canada fans 24/7/365. Since the Olympic Games only come every two years, this property is the Canadian Olympic Team’s digital stadium. Within the club, fans can compete against each other for points based on online activities, and receive rewards ranging from virtual achievement badges, user status visuals, an activity feed and appearances on the network’s leaderboard, to physical prizes, digital downloads and experiential events. The platform reinforces fans’ positive behavior, and detailed reporting provides valuable insight into user metrics that allow us to continuously enhance its fan experience. The combination of inside access, entertaining interactivity, and rewards creates a powerful driver for both loyalty and engagement—which in turn lead to new fan acquisition and increased social sharing. The more fans participate the more they are rewarded – with points to track activity, redeemable for virtual, social and physical rewards, including easy-to-enter, one-click contest entry. Fans are also recognized for their support in the form of leaderboards and custom badges, for competitive bragging rights against those in their own social communities. Free one-click membership lets users sign-up and sign-in to Olympic Club (on Olympic.ca) via social login using Facebook, Twitter or other social profiles. 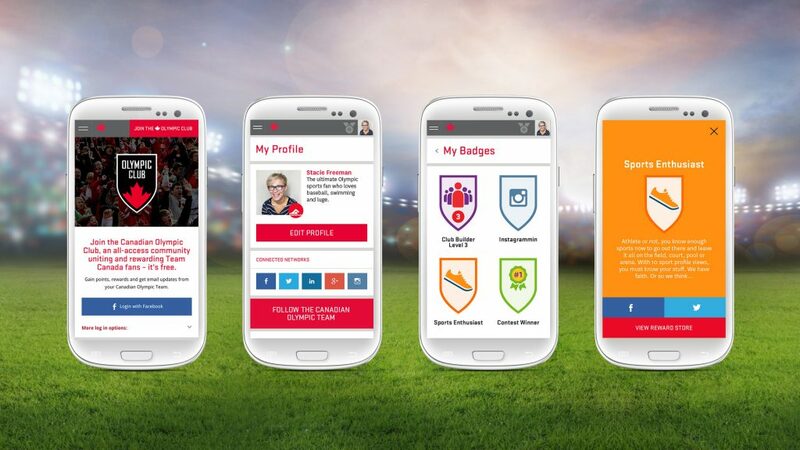 Canadian Olympic Club is a next generation digital fan club – driven by social media and gamification. It’s the first of its kind for any national Olympic Team, and industry leading by any pro sport standard, featuring physical and social rewards, one-click contest entry, and exclusive content. Fan recognition in the form of leaderboards and custom badges – for bragging rights against those in your own social communities. Profile personalization, including the option to pick your favourite sport, with 53 sports to choose from (both Olympic and Pan American). Ongoing point system to score fan participation, redeemable for virtual, social, physical and experiential rewards, including easy-to-enter, one-click contest entry. Contest prizes at launch included limited edition TO2015 Hudson’s Bay Team Canada gear. Outside of the Olympic Games, there are weekly contests. During Rio 2016, there will be daily contests. Become a member of Olympic Club without the hassle of filling out forms or remembering passwords. 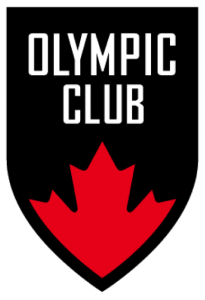 One-click membership lets users sign-up and sign-in to Olympic Club (on Olympic.ca) using Facebook, Twitter or other social profiles. Olympic Club was designed to live on all screens, but first and foremost on mobile devices. In fact, the desktop user experience for Olympic Club did not begin until the entire mobile design was complete.